open water | your water, your choice | who is my water retailer? How do I find out who my current water or wastewater retailer is? 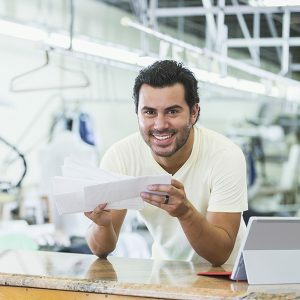 Since the retail water market opened on 1 April, business customers are now billed by water retailers, rather than the regional water companies – now known as wholesalers. Business customers should have been contacted by their water company ahead of the market opening to advise which water retailer would serve their premises from 1 April 2017. If you’re still unsure who your water retailer is, you can find out by checking your most recent water bill – if it was issued after 1 April 2017. If you can’t find a bill, if you have recently moved to new business premises or if your most recent bill was issued before 1 April, you can contact any water retailer and they can tell you which water or wastewater retailer is registered to your premises. 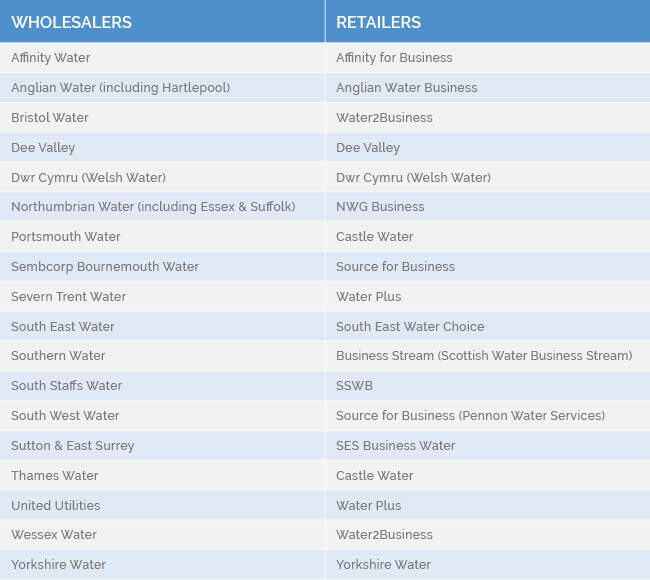 The chart below illustrates the relationship between wholesalers (regional water companies) and retailers. For example, if your premises were billed by Thames Water before the market opened on 1 April 2017 — and has not actively switched to another retailer — you will now receive bills from Castle Water. Businesses can choose whichever retailer they would like to work with — they can either renegotiate a better deal with their current water retailer or switch to a new retailer.